Buddhism Followers - What many Buddhists are there? Where do they live? Currently, Buddhism is widely considered the fourth-largest religion in the world after Christianity, Islam, Hinduism. 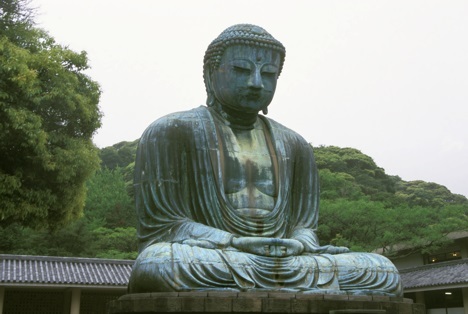 Earlier in the 20th century, Buddhism was probably the largest religion in the world. In 1951, there were probably around 520 million Buddhists, but only around 500 million Christians. Traditional Chinese religious practices, and "Chinese folk" religious practices, often include element of Buddhism. Many Eastern religious traditions include elements syncretism, combining elements of multiple religious traditions. For example, followers of Caodaism, Chondogyo, Confucianism, Shintoism, and Taoism, may incorporate elements of Buddhism in their religious practices or beliefs. Many Buddhists do not participate in public ceremonies or religious practices. Government policy in many Communist and former-Communist countries may discourage accurate reporting of the population's religious affiliations. As a result of all this, estimates of the number of Buddhists can vary widely. Some scholars, who use more expansive definitions of who to classify as Buddhist, may count many more people as people adherents of the religion, making Buddhism, in their view, the largest religion in the world, with perhaps as many as 1.7 billion followers. Theravada Buddhism, which uses scriptures in Sanskrit and Pali, is most widely practised in (and the dominant form of Buddhism in) the following countries: Cambodia, Laos, Myanmar, Sri Lanka, and Thailand. Additionally, the Dalit Buddhist movement in India is part of the Theravada Buddhist school. In total, there are around 124 million people adhering to the Theravada Buddhist school. Mahayana Buddhism, which uses Chinese scriptures, is dominant form of Buddhism in China, Japan, Korea, Singapore, Taiwan, and Vietnam. There are also Mahayana Buddhist communities in Indochina, Southeast Asia, and many Western countries. Depending on how you count, in total, there are around 500 million to 1 billion people adhering to the Mahayana Buddhist school. Tibetan Buddhism is found in Bhutan, Mongolia, Nepal, parts of China (especially Tibet and Inner Mongolia), parts of Russia (Kalmyk Autonomous Republic), and some areas of India (especially Ladakh, Sikkim, Himachal Pradesh, Arunachal Pradesh). There are around 20 million adherents of Tibetan Buddhism.